What's in a whisper? 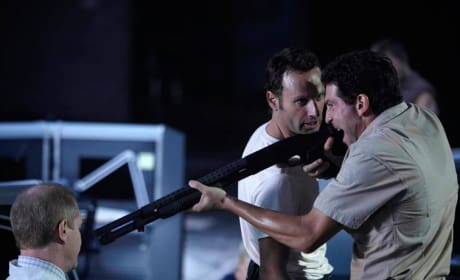 This was a key scene on The Walking Dead season one finale. The characters on The Walking Dead are on their own again, heading into season two. Where will they go to survive? Things got very tense on the first season finale of The Walking Dead. 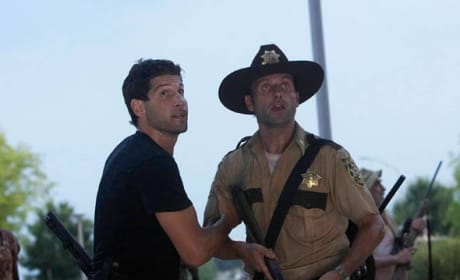 Dr. Edwin Jenner, Rick Grimes and Shane Walsh are pictured here. You're looking at a scene from the first season finale of The Walking Dead. The group is making a run for it. You're looking at a photo of Andrea. This Walking Dead character is played by Laurie Holden. The survivors meet a physician on the season one finale. This is a scene from the episode "TS-19." Shane and Rick survey the scene in this photo. 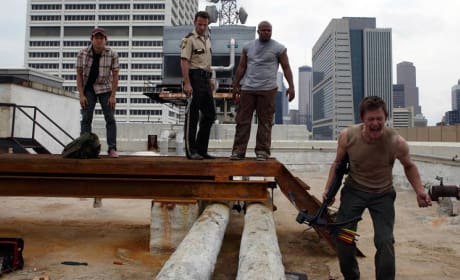 It's from the episode of The Walking Dead titled "Wildfire." 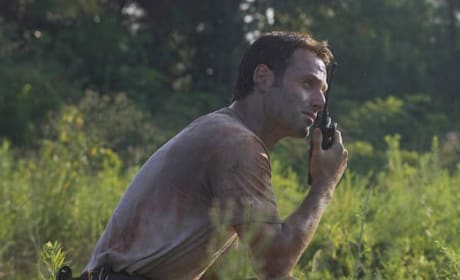 Rick radios in during this scene from The Walking Dead. It's courtesy of the episode "Wildfire." This is a scene from "Vatos." 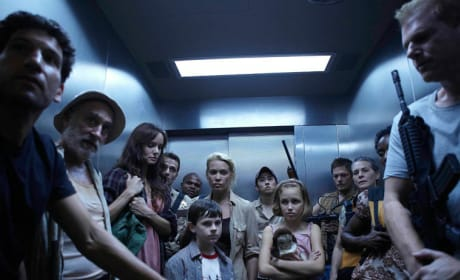 It's the fourth episode of the first season of The Walking Dead. 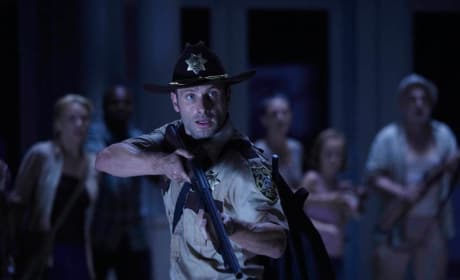 Say hello to Rick Grimes. It's safe to say he has a lot to deal with on The Walking Dead. Reunited and it feels so good. 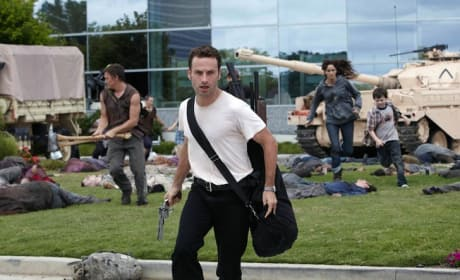 Rick and Lori are seen here on the third episode of The Walking Dead. 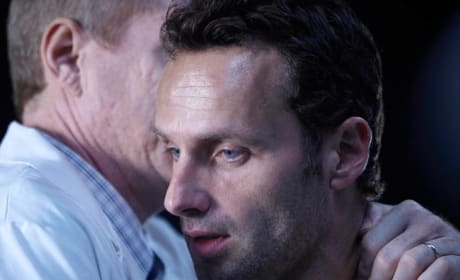 Rick reunites with his family on the third episode of The Walking Dead. 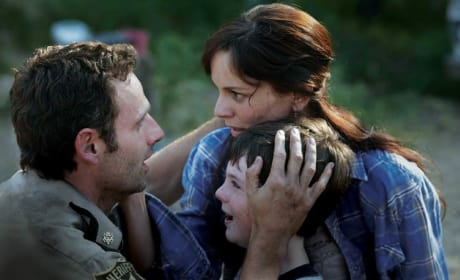 He's seen here with Lori and Carl. Shane: What's the difference between men and women. Rick: Is this a joke? Shane: No serious. I've never met a woman who knew how to turn off the light. Born thinking the switch only goes one way: on. Hey you. Dumbass. Yeah, you in the tank. Cozy in there? Permalink: Hey you. Dumbass. Yeah, you in the tank. Cozy in there? 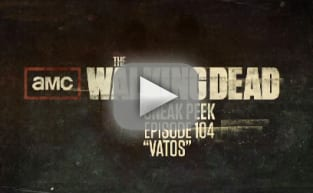 The Walking Dead Season Finale Review: "TS-19"
The Walking Dead Review: "Wildfire"
The Walking Dead Review: "Vatos"